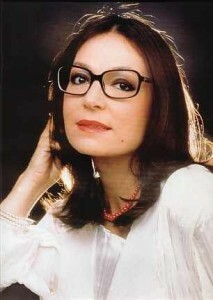 After a long successful international career Nana Mouskouri has decided to stop at the age of 73! Thursday evening she is giving her very last concert – and it all ends in her birth country, Greece at Herodion near Acropolis. 10,000 people will attend the full out concert that will mark the end of a very long successful career that started in 1957 after having studied classical music at the conservatoire. Her international career started in 1962 where she met Quincy Jones who help her started in New York. The year after she moved to Paris that become her residence for many years. She represented Luxembourg at the Eurovision Song Contest in 1963 and finished 8th with the song À force de prier and today most people wont remember the fact that she took part in the contest. Her big career is well known across the world and many will miss her. Nana has wanted to end it all in her birth country, Greece and she makes it clear that it will be a final goodbye to her fans tomorrow evening in Athens. There will be no more concerts from the Greek songbird: “I have wished that the final goodbye to my fans should take place in my country’s capital”, Nana Mouskouri says and continue: “Now it is time to step aside and make space for younger people”.